You will see your top level document folders. Top level folders may or may not contain subfolders. Click a folder name to drill into the folder and see the subfolders under it. You can see the "breadcrumbs" trail above your folders, which shows you which level you are at. Keep drilling in until you find your documents! To add a document, go to your document folders. At the top you will see a link that says "Add Document". Click the link and enter your data in the fields. 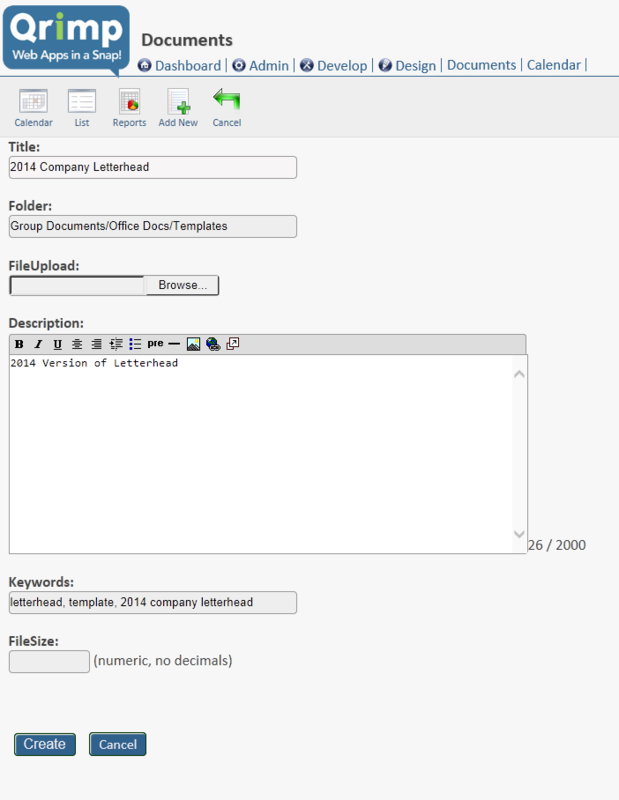 To create folders, type slashes "/" between the folder names in the Folder field. When you enter folders and subfolders, these are created new if they do not exist. 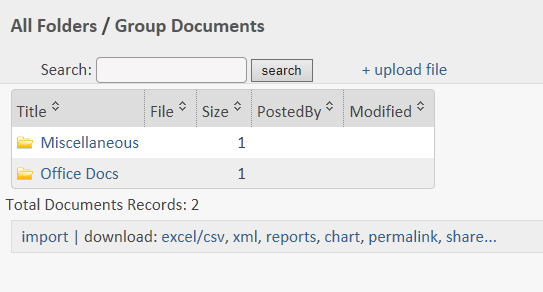 To add documents to folders that already exist, navigate to the folder you want your document to go into and THEN click the "Upload Document" link. If you would like to bulk import folders or replicate your existing folder system, please contact us for a quote.